Democrat leaders scrambled Monday morning to distance themselves from the incendiary comments made by Rep. Maxine Waters (D-CA) over the weekend, calling for the public to “harass” member of the Trump administration. House Minority Leader Nancy Pelosi (D-CA) — who hopes to reclaim the Speaker’s gavel if Democrats win the midterm elections in November — tweeted that Waters’s comments were “unacceptable” — though she blamed Trump for provoking them. The fact is that confronting or harassing opponents has been a staple of left-wing “community organizing” since the 1960s, when such tactics were perfected by Saul Alinsky. And under the influence of Barack Obama and others, the Democratic Party has increasingly embraced such tactics. During the push for Obamacare, President Obama’s deputy chief of staff, Jim Messina, told Democratic Senators to “punch back twice as hard” if they were questioned during town hall meetings about the merits of the legislation. Obama’s allies in the Service Employees International Union (SEIU) marched hundreds of protesters onto the front lawn of a Bank of America executive in 2010, terrifying his teenage son, who was home alone. 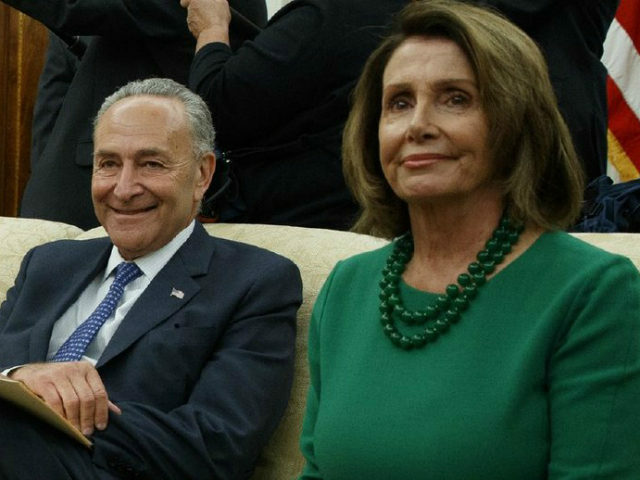 Pelosi and Schumer said nothing. These are tactics the left has championed and the Democratic Party came to embrace — as long as they worked. The difference now, post-2016, is that the “deplorables” have shown they can defend themselves — at the ballot box.